Malta is looking to attract foreign investment in its nascent medical cannabis industry, as Chris Cardona and Mario Galea told audiences at the 2018 Medical Cannabis World Forum. As Minister for the Economy, Investment and Small Business, Chris Cardona played a central role in the decision to legalise medical cannabis in Malta in March 2018. Speaking in November at the Medical Cannabis World Forum, he told an audience of industry, healthcare and policy experts about Malta’s journey with medical cannabis thus far and why the small island is the perfect location for people looking to do business in medical cannabis. Kicking off his speech, Cardona expressed his surprise and delight that Malta should be hosting the two-day medical cannabis event less than a year after introducing new regulations – something he described as a “true testament” to how far the country has come in such a short space of time. “If you had [gone] up to anyone in Malta a year ago and told them that we would be hosting the World Forum on Medical Cannabis, they would have probably thought you were kidding,” he said, “and yet here we are. Cardona admitted that politicians had been wary of public opinion when the idea of entering the medical cannabis market was first floated. He accused the media of publishing “scaremongering” headlines such as “government wants to build narcotics factories” and confessed that parliamentary debates had been “heated” – no doubt in part because marijuana had previously been a “taboo subject” that no Maltese politician had even “dared to mention let alone build policy on”. Thankfully, however, “the Maltese public and our economic community did not fall [into] this trap” and have largely embraced the new regulations. Given its long-standing and proud reputation in pharmaceutical manufacturing, Malta is home to a wealth of expertise and resources that can be easily translated to the production of medical cannabis. This is central to its ambition to position itself as a centre of excellence in the industry. “We want to, and we will, be one of the first countries to offer a high grade, genuine quality product for the rest of Europe,” Cardona said. Despite his confidence, the minister acknowledged that there are challenges ahead, not least the fact that Malta is “working [in] unknown and uncharted territory” as medical cannabis is only just now “emerging from the shadows”. Scale-up also requires consideration (how can production best be industrialised in order to keep up with demand) as does the range of technologies (IoT, the Cloud, analytics) yet to be utilised by the industry. These obstacles are relatively small compared to the size of the medical cannabis opportunity, Cardona suggested. “Looking at the numbers in every which way you choose to, the conclusion is they are impressive: in just six months the European cannabis industry has grown more than in the previous five years. The population of Europe is double that in the US and in Canada, so we have a bigger market. Estimates are that in ten years, the European medical cannabis market is set to be worth more than €55bn. Why invest in medical cannabis in Malta? This competition has not put off Malta, a country which has “always punched above its weight” despite its small size. Cardona made a strong case for why Malta is such a strong country to invest in when it comes to medical cannabis, outlining its impressive economic growth. In 2018, Cardona added, real GDP growth increased by 5.4% – double that of the EU average – and forecasts suggest that Malta “will once again be the fastest growing economy in the European Union” in 2019. And this is just the beginning: Malta is committed to maintaining its economic vibrancy and sustaining a community of innovators. That’s why, Cardona said, it is promoting synergies between government, regulators and operators in order to develop new products and services that respond and react to international market requirements quickly and efficiently. Drawing his presentation to a close, Cardona appealed directly to the medical and pharmaceutical students in attendance. “We want to carve out our name in this industry and shut [down] mainstream’s conceptions of medical marijuana. The sector needs people like you; cannabis-related careers are here, and now it’s up to you” to see how far you can go and “how far this industry will keep growing in Malta”. Already, he concluded, “the best of the best [are] setting up shop locally,” and other countries are looking to Malta to see how its medical cannabis industry evolves and legislation works in practice. All that’s left for the government to do is to “continue to empower our businesses and to foster growth” – the world will be watching. Also speaking at the Medical Cannabis World Forum was Mario Galea, CEO of Malta Enterprise, the government agency responsible for attracting and supporting both foreign direct investment in Malta and local business growth. In an interesting and comprehensive presentation, he explained how Malta is working to attract medical cannabis investors and companies. Galea credited Malta’s strong economic performance to its range of industrial sectors, which encompass – among others – tourism and hospitality, manufacturing, iGaming, maritime and aviation, and the life sciences. It is this latter area that lays the foundation for medical cannabis, he said. Not only does Malta have a strong pharmaceuticals manufacturing base, it also has one of the best medicines authorities in Europe, a customer-oriented and investor-friendly organisation that Galea said works very closely with Malta Enterprise. The country also has a strong and growing medical research and education infrastructure. It is, for instance, building a state-of-the-art life sciences park together with international investment partners and transforming its sister island Gozo into a medical innovation hub. Malta sees cannabis as a progression of its life sciences sector and a continuation of its pharmaceutical industry, and is working to foster growth by building a “relationship of trust” with local and foreign companies. 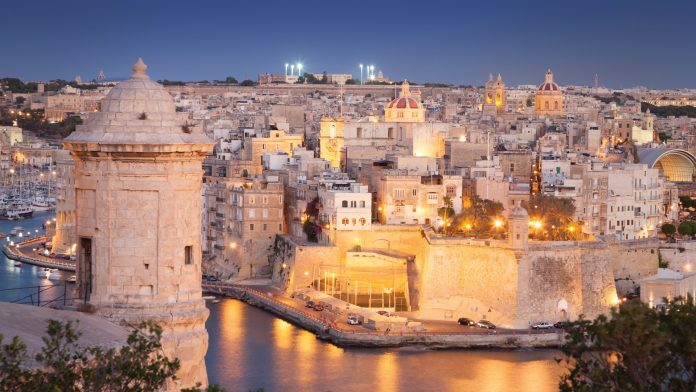 So far, Galea revealed, “Malta Enterprise has approved ten letters of intent that will qualify eventually for the licence to produce medical cannabis.” It has also rejected ten applications. “Although we are very investment friendly, and we are very conscious of the requirements of foreign investment … we have been rigid in the process,” Galea explained. According to Galea, Malta’s ultimate aim when it comes to attracting medical cannabis investments is to replicate its achievements in pharmaceuticals and the life sciences. In doing so, he said, Malta and both foreign and local companies can work together to not only establish an important and exponentially growing sector in Europe but also position Malta at its forefront.